[Click here to go to Maize (corn) crop page]! Remote sensing is the acquisition of information about an object or phenomenon without making physical contact with the object and thus in contrast to on-site observation, especially the Earth. Remote sensing is used in numerous fields, including geography, land surveying and most Earth Science disciplines (for example, hydrology, ecology, meteorology, oceanography, glaciology, geology); it also has military, intelligence, commercial, economic, planning, and humanitarian applications. 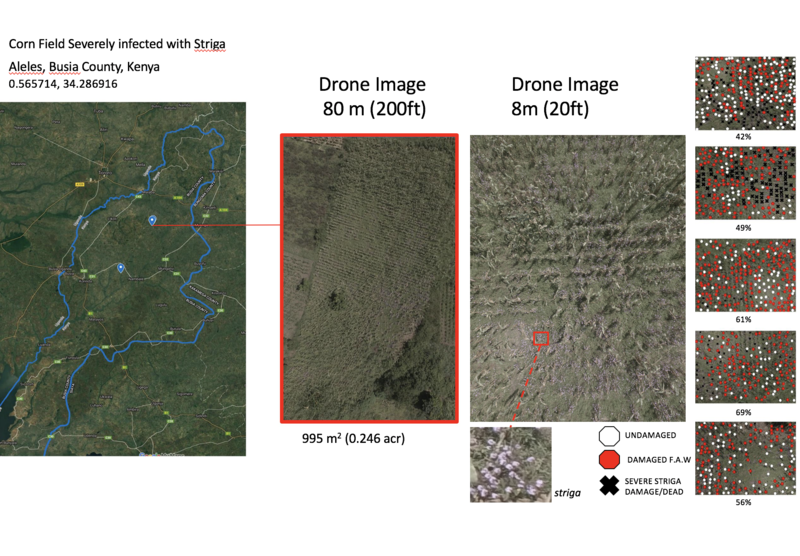 In this last case remote sensing has been suggested to be useful to track fall armyworm in Africa. In current usage, the term "remote sensing" generally refers to the use of satellite- or aircraft-based sensor technologies to detect and classify objects on Earth. Aircraft can include drones. The goal of this page is to enable practitioners in remote sensing of FAW to share success and failures. It is important that we do this collectively to avoid wasted efforts and to pool resources. 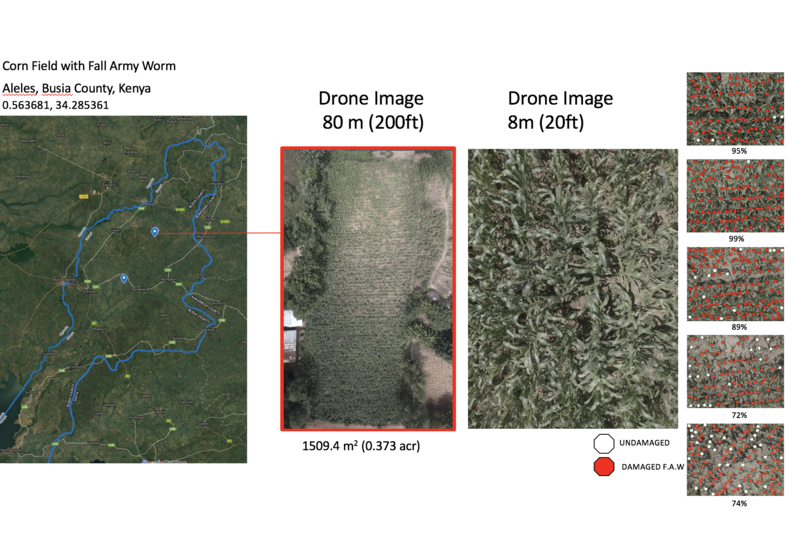 Before proceeding to discuss how remote sensing could help in Africa to monitor and track FAW it is critical to appreciate the reality of what most smallholder farmer fields in Africa are: they are small (<2ha), with irregular boundaries and with extensive polyculture and weeds. That is not to say the continent does not have regular shaped fields that are monocrop and free of weeds- but the majority are not. 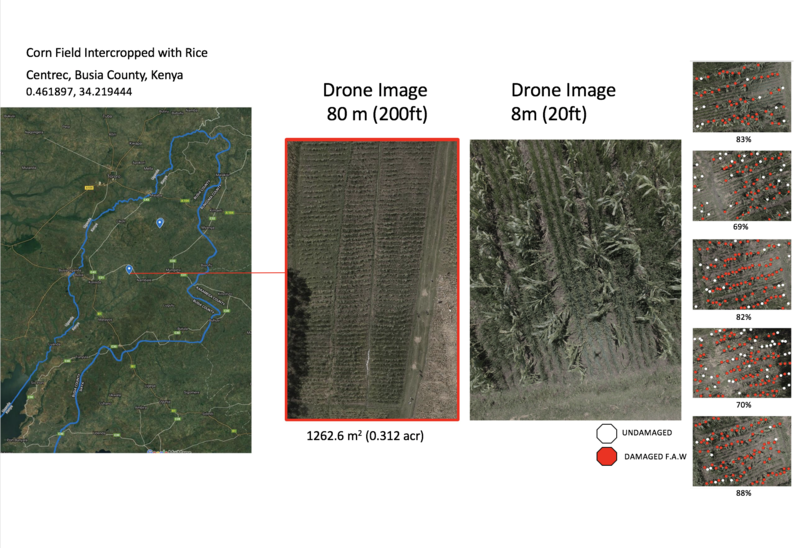 This presents a major challenge to remote sensing- how can the camera on a satellite tell the difference between maize versus other crops/weeds. And if it does, how can it determine if the maize has FAW? 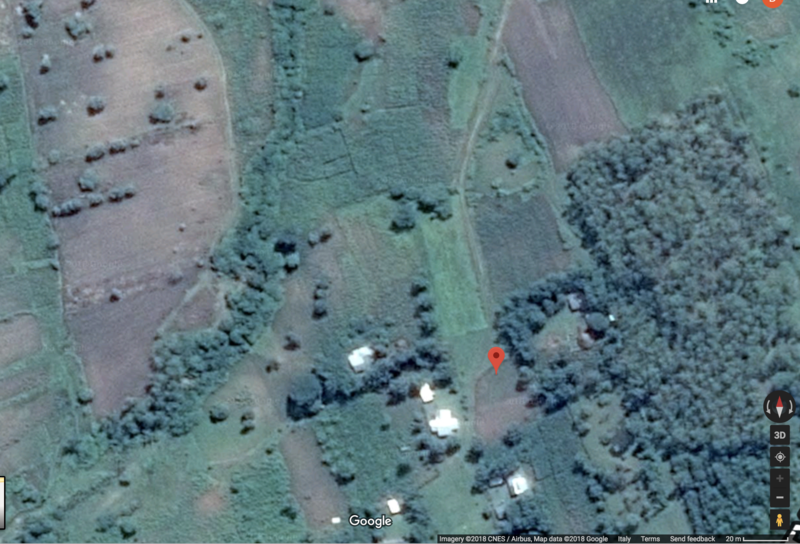 Here is a picture of a field in Western Kenya from Google maps. The challenge then is telling which crop is which. Below is an image of 3m resolution Planet.com from Western Kenya. 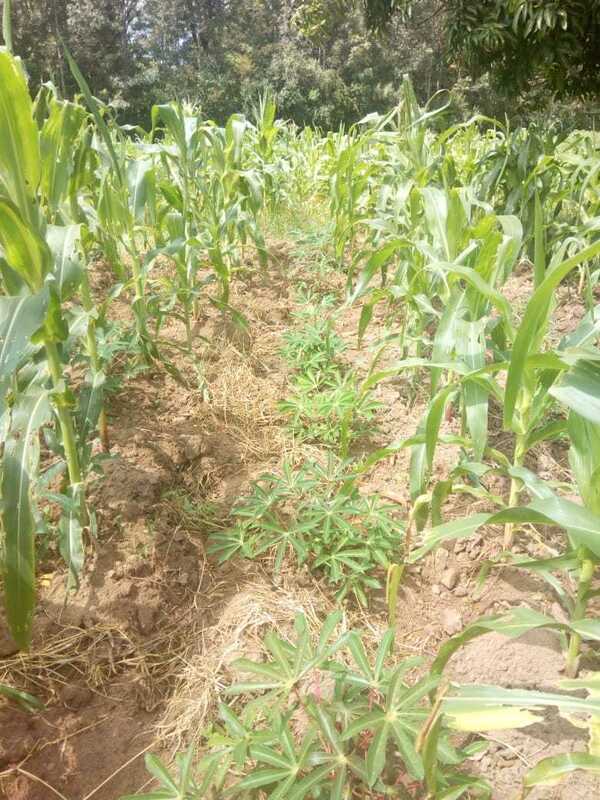 It is not the same field but it is a field with maize and cassava, and weeds. 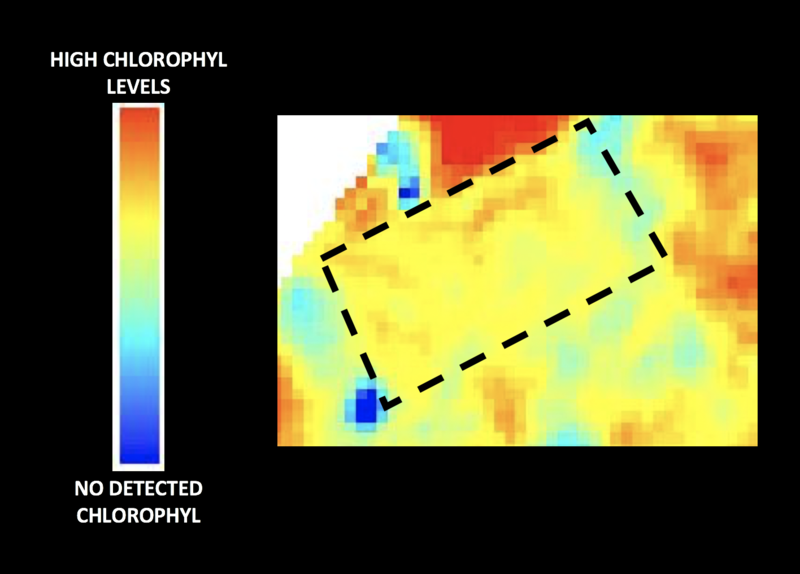 The colors are because the analysis is an index called NDVI (normalized difference vegetation index) that is commonly used. This is going to be hard to distinguish between crops. 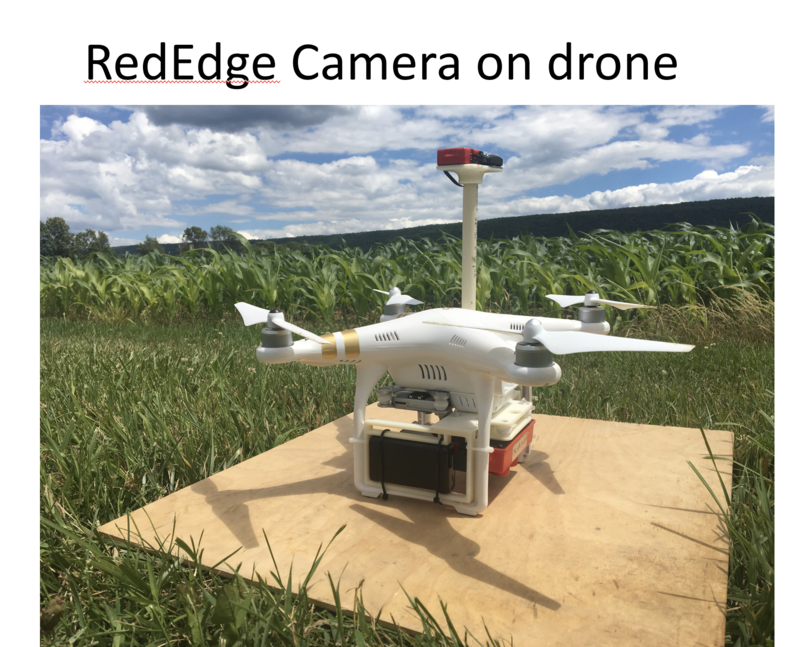 The issue of polyculture, weeds and irregular boundaries needs to be considered closely when advocating the use of remote sensing. It is not clear from the media attention what the earth observations are. What satellites are being used. There is a document here about the project. The project says it will use "environmental data from Earth Observation validated by the consortium (e.g. 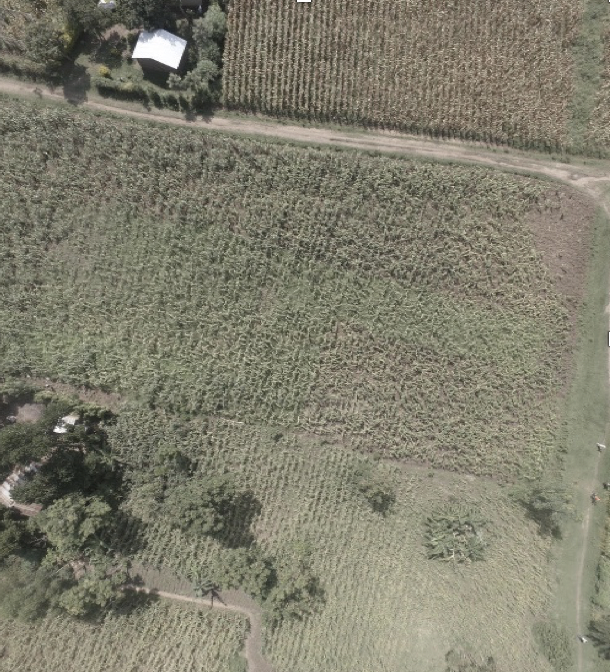 land surface temperature and rainfall), pest phenology data across three different countries (Kenya, Zambia and Ghana) and crowdsourced observations." There are a number of satellites that measure ground temperature and moisture. But since no details have been provided we cannot speculate. It is worth stressing that there is no current evidence that PRISE can predict FAW. One possible tool is a multi-spectral camera. We have flow the RedEdge camera a lot. 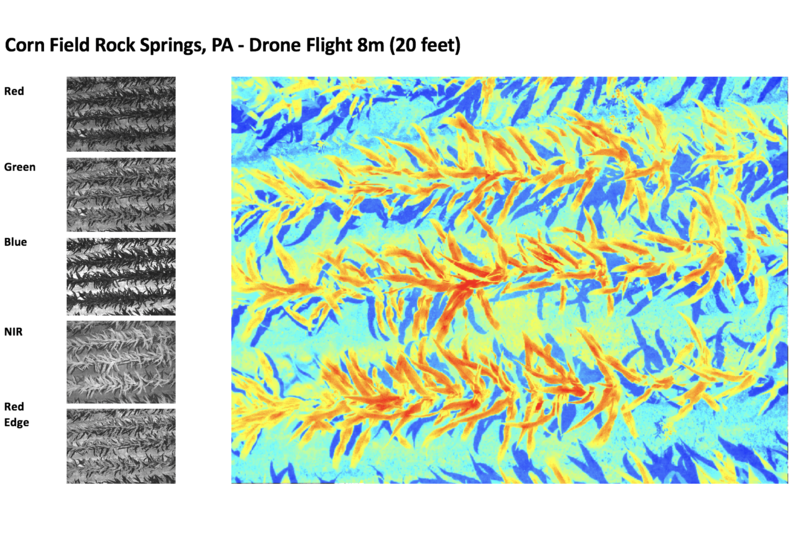 This has 5 different bands and the data can be combined into different indices, for example, NDVI.